—Gateway computer founder Ted Waitt, who recently launched the centrist super-PAC icPurple. 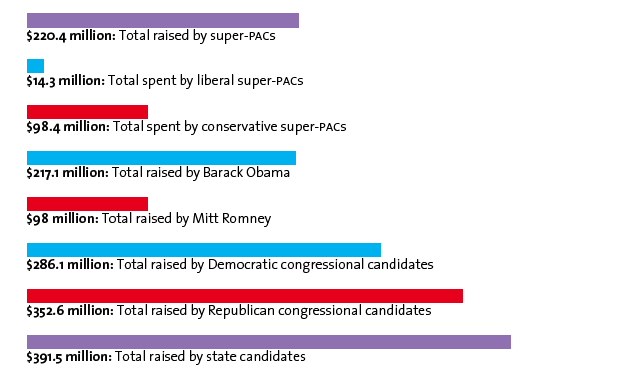 • Most of Obama’s 2008 Bundlers Are AWOL: More than 70 percent of the president’s biggest past fundraisers have yet to pitch in. Yet that may not be a problem. • Four Reasons Why the Left Lost Wisconsin: And one reason why Tuesday wasn’t a total disaster for Democrats. 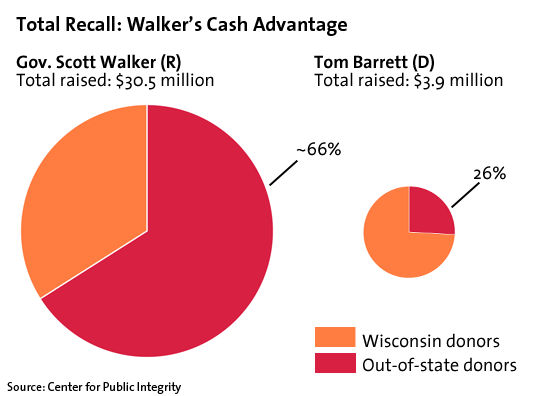 • “Our Elections Are Being Poisoned”: Have the dark money, front groups, and corporate cash flooding Scott Walker’s recall corrupted Wisconsin? • Sheldon Adelson Opens Up His Wallet, Vol. MCXVI: The Las Vegas casino owner (and former Newt Gingrich megadonor) cuts his first check to a Romney super-PAC. This post has been revised.